Senator Brian Jones (second from left) and members of Baker Electric Home Energy at their Escondido factory. 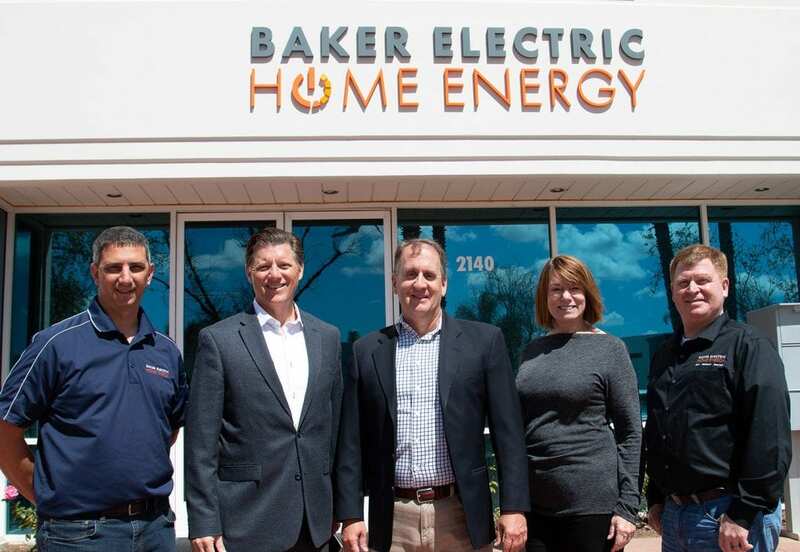 Escondido-based Baker Electric Home Energy, a leading San Diego company specializing in advanced solar systems, home batteries as well as heating and air conditioning services and smart home solutions, hosted State Senator Brian Jones Friday, March 22. The Senator’s visit was intended to gain a greater understanding of solar and home battery technology as well as renewable energy’s impact on the San Diego job market and economy. “We were honored to share the Baker success story and our company operations with Senator Jones. He has a clear appreciation for the importance of renewable energy to Southern California homeowners and its growing significance to our local job market and the state’s economy,” said Teresso. Information on all of Baker Electric Home Energy’s products and services can be found at BakerHomeEnergy.com.